Ideal strive’s to be a solution to all of your VFD problems. 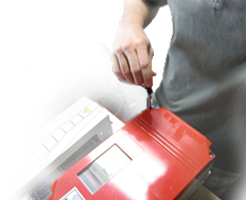 We attempt to make the repair process as efficient as possible, saving you money and downtime. Labor is $115 per hour. Travel is $105 per hour roundtrip. Ideal Service technicians have received factory training through several manufacturers, and have hand on experience with many more. Items shipped to Ideal Service get a free evaluation before we recommend a service option.